And just letting him say what he wants........anything goes. Lots of people like him. But, you will pay more in taxes. FOX hosted this town hall last night without Bernie. They had Harris Faulkner as host but I did not get to see it. “In Trump We Trust.” Right???? Watched five minutes of it. That’s as much as I could stomach. All he is is a re distributionist. Nothing new, tax the hell out of successful people and give it to less successful. Im watching it......how anyone could drink the koolaid ole bernie serves I have no idea. My question is how do they pick the people attending??? I would love the chance to question that communist. I do think Martha and Brett are doing a good job....its pretty obvious that Martha isn't buying his sack of garbage! 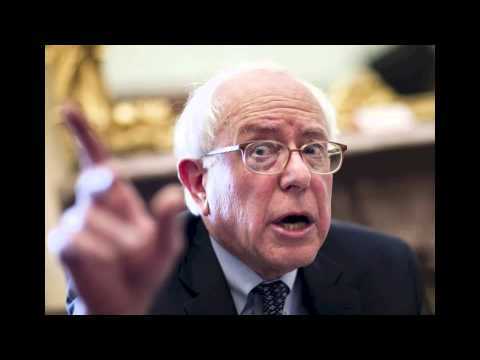 The fact that a Commie Socialist POS like Bernie is even running for POTUS says VOLUMES about America. Is anybody even going to ask about America's foreign policy in the Middle East? Anyone ask about if he is backed by Soros? Crowd will be full of people wanting something for nothing. Unfortunately the number is growing. Bernie is a very good salesman. Do not underestimate him. He is very dangerous. Incidentally, the audience seems to be very pro-Bernie. what could be better for tv debates in 2020. two old white men. one a socialist, and one a capitalist. and they both support taxes? Listening to Bernie takes me back to the 60's. A big part of what is fugged up in the world today was pushed into place during the 60's. .............. Amen...... But not just Bernie; look at some of the other commie fruit cakes who want that job. Donna Brazile discussing debate protocol made me laugh. Bernie is an old commie piece of work. It's scary he's so popular. Trump would make mincemeat out of him in a real debate. “That’s racist!” or “you are just trying to make it into a political issue!” . OR “well Donald Trump did/said this”. They will never answer questions. Guess that’s why so many politicians started out as shady attorneys. Last edited by SFCSNOW; 04/15/19.